Chinese smartphone and accessories maker Realme hasn’t even completed a year in the market, but it’s already made a huge impact on the segments in which it has products. Devices such as the Realme C1 and Realme 2 Pro offer specifications and hardware that aren’t typically seen at their price points, and all of this has gotten Realme noticed in a big way. Now that the company has its smartphone operations somewhat in place, it has turned its attention to another lucrative space in India — audio. Enter the Realme Buds, the company’s first standalone audio product. Priced at Rs 499, the Realme Buds are affordable with the promise of features and specifications that not many other brands offer at this price. Can this smartphone maker shake up the affordable earphones market with its latest product, or does this all sound too good to be true? We find out in our review. 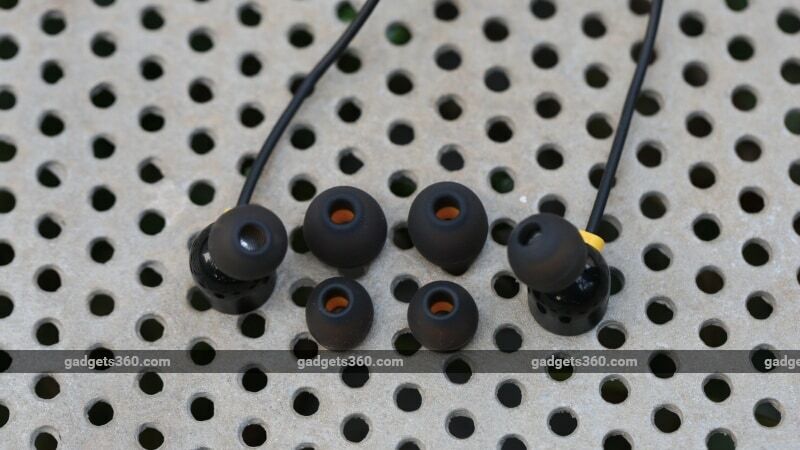 As far as basic design goes, the Realme Buds are fairly standard for low-cost in-ear headphones. Featuring an in-canal fit, regular silicone eartips, and a 1m-long cable, all the basics are in place. However, when you consider the Rs. 499 price, you get a few additional features that make this an excellent value-for-money offering, including a three-button in-line remote, microphone, and more. The ‘more’ includes a Kevlar fibre wrap around the cable below the Y-splitter for durability, and a magnetic clamping mechanism between the two earpieces for easy carrying. The Kevlar definitely makes the cable feels more durable and resistant to strain than what we’re used to seeing at this price level, while the magnets reduce the chances of the wires getting tangled. Unlike the OnePlus Bullets Wireless, the magnetic clamping mechanism does not control anything; there is no power switch here given that this is a standard pair of wired earphones. The ear casings themselves are made of plastic, but feel solid and well-built. The three-button remote works as expected to control volume, playback, and call controls on compatible devices. The Realme Buds use the standard 3.5mm plug to connect to a source device, which makes it compatible with a large number of smartphones, audio players, and computers. The Realme Buds are powered by 11mm dynamic drivers, and you get two extra pairs of eartips in different sizes in the box in case the ones on by default don’t fit you optimally. For our review, we primarily used a MacBook Air and a OnePlus 6T (with the phone’s stock 3.5mm-to-USB-Type-C dongle) as the source devices. On both devices, we used Apple Music to play streamed audio tracks, and also tested with Netflix for sound quality in videos. Sound quality is, unfortunately, not fantastic. The Realme Buds headset sounds too warm, with the low end of the frequency range tending to overpower the mid-range and highs. Because of this, we heard a bit of roughness in the sound that persisted with various audio tracks that we played, regardless of genre. On a positive note, the Realme Buds can get very loud thanks to the 11mm drivers, and the bass tends to be more pronounced as a result, if that’s what you prefer. With Cut Copy’s Take Me Over, the sound wasn’t quite as clean as what we experienced with earphones such as the Beyerdynamic Beat Byrd. Listening to Eden’s Mavis, we felt that while the sound wasn’t what we’d call ‘bad’, but it wasn’t necessarily that good either. The vocals were fine, but sound imaging didn’t go far beyond basic stereo separation. In general, the sound feels a bit rough, but that’s the compromise here given the price and the design features on offer. Moving on to voice calls, we got acceptable performance from the microphone and earphones, and you’ll be able to use the Realme Buds effectively enough for hands-free phone functionality. We could hear voices clearly enough, and people on the other end of our calls didn’t report any issues either. The remote and buttons are well built, although they are a bit firm and difficult to press at times. The headphones are comfortable to use for long listening sessions as well, thanks to the weight and design. Priced at Rs. 499, the Realme Buds don’t give us much room to complain. Although the sound quality is average at best, there’s more in terms of build and function on offer than most other competing products, which does to some extent make up for that. A lot of people use and store their earphones roughly, and these efforts in improving the build quality should go a long way in keeping the Realme Buds usable for some time. From the three-button remote and microphone to the Kevlar fibre wrap of the cable and the magnetic clamping mechanism, the Realme Buds definitely look and feel like more expensive earphones, even if they don’t sound like them. 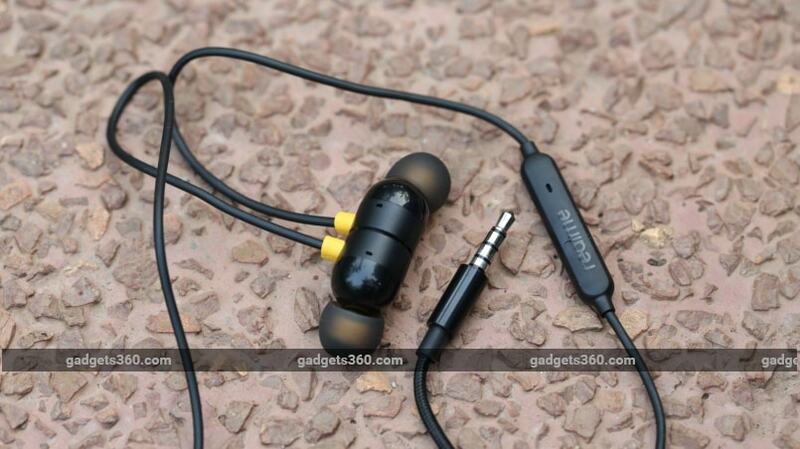 If you like your music to be bass-heavy and if your usage is limited to casual listening during your commute and a few calls on the go, the Realme Buds are definitely worth considering. However, if you’re willing to spend a little bit more, the 1More Piston Fit headset does offer better audio quality than the Realme Buds. The Android Pixel 3 stand: Is it worth the cost?